Sixty years ago, the second domestic game played at Wembley Stadium each season featured the likes of Willington, Pegasus, Crook Town and Walthamstow Avenue. Today, these teams can be found in the backwaters of the lower divisions of the English Non Leagues (in Walthamstow’s case they actually went through various mergers and can now be said to be part of Dagenham & Redbridge FC) but in the 1950’s they were responsible for filling our national stadium with crowds of 100,000. Let me take you back to 1953 when Sir Winston Churchill was smoking his cigars and giving his ‘V’ signs on the steps of 10 Downing Street. Just eight years after the end of the war, football was going through a boom period. The British public simply couldn’t get enough of the beautiful game. Fortunately it was still considered to be the people’s game and so admission was affordable for all, and not just those who liked a prawn sandwich or two (in those days hospitality would have been a pint of Mild and a Woodbine, possibly with a banana thrown in). 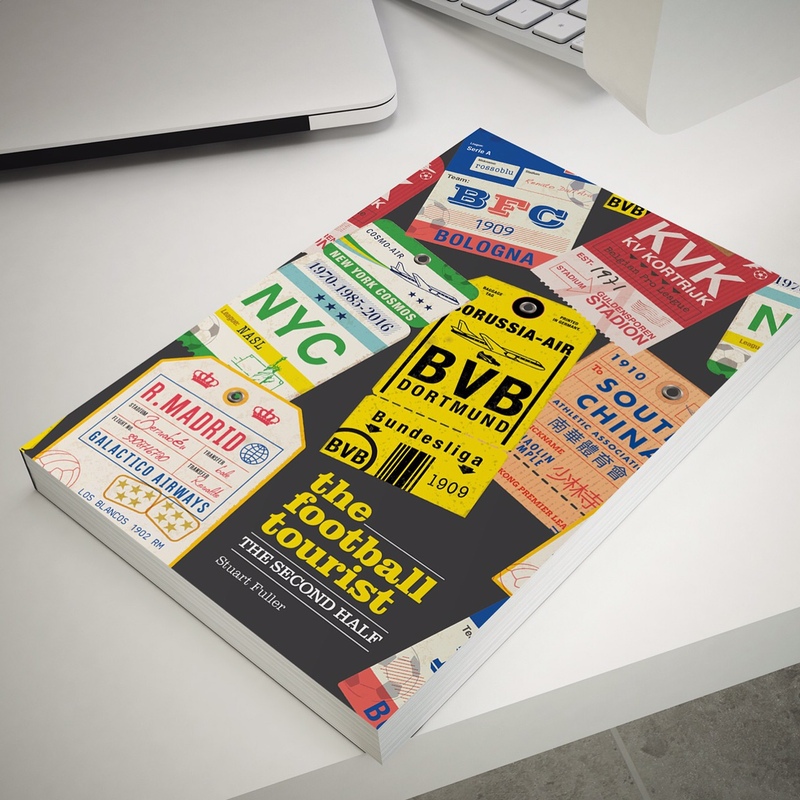 With just two competitions for professional clubs to play in (The League Cup was still seven years away, whilst European competition would not feature until 1955), Non League, or amateur football had a huge following. Back then, the second biggest cup game in England was the FA Amateur Cup Final. 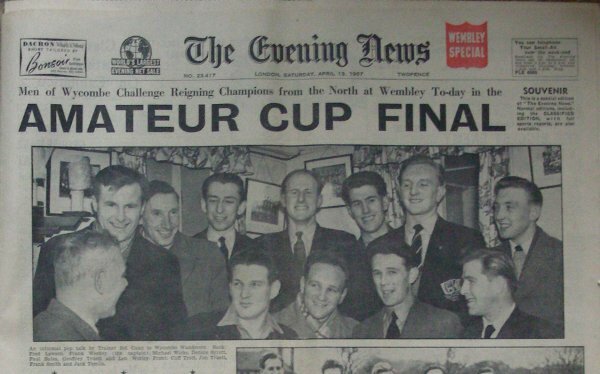 Sixty years ago, the final of what we basically call the FA Trophy today (sponsored by Carlsberg lest we forget) was a 100,000 sell out at Wembley Stadium. The two teams involved? Pegasus and Harwich & Parkeston. Household names right? Well, no actually. Neither were big teams like previous winners Bishop Auckland or Wycombe Wanderers but they reached Wembley all the same and the crowds came flocking to North London to see the team made up of Oxford and Cambridge Students win their second Amateur Cup in just three years, beating the Essex side 6-0. Today Harwich & Parkeston still exist, playing in the Essex & Suffolk Border League, step eleven of the English football pyramid. Pegasus flew off the footballing map back in 1963. But the cup sort of still lives on. The Amateur Cup was last played in 1974 when Bishops Stortford beat Ilford at Wembley. In the summer of 1974, the FA abolished the amateur status of football in England, replacing the tournament with the FA Vase and Trophy. So today, that once noble tournament has been replaced by a competition that few really care about. Last season’s final between Newport County and York City, two ex-proud Football League sides, attracted less than 20,000. Whilst every team at level five to eight of the pyramid is eligible to take part, only a small number know they stand a chance to reach Wembley. After Saturday’s draw at Brentwood Town, Lewes could still at least dream of a trip to Wembley, thankfully. They went into the game in deepest, darkest Essex as favourites, but three times had to come from behind to earn a replay, with the Essex-side’s danger man Alex Read scoring a fully deserved hatrick. Our re-arranged league game versus Lowestoft Town would have to wait – the magic of the FA Trophy was back in town. What did we expect from this game? From an attendance point of view I plumped for a 300-ish crowd. As Lloyd Grosman says, “Let’s look at the facts”. The crowd at Brentwood on Saturday was 118. I counted 45 Lewes fans. There were a few floating fans, officials and players relatives. So the core home support was about 30. Assume that 10% travel away then Brentwood would be bringing 3 fans. As this was a cup game it was “all pay” for Lewes fans and that would drag the number down significantly. Throw in half-term, a dull Reading V Arsenal cup game on the TV, little time for any promotion of the game around the town and it was going to be a game we simply wanted to get out-of-the-way, taking a scrappy 1-0 and progressing into the next round where Kingstonian waited for the winners and thus be one step closer to Wembley. For once it would be an excuse to leave work on time and head down on the commuter special to East Sussex with all of those happy people and their fold-a-way bikes. Are they the most ridiculous contraptions known to man? After spending an hour getting to known someone’s armpit, why would you then want to get all hot, sweaty and polluted trying to avoid being killed by a lorry in and around London’s choc-a-bloc roads? Surely a £2 Oyster tube fare is a better option? But they are a strange lot down in the countryside so let’s hope that the locals also took an early train, changed into something more suitable and headed on down to the Dripping Pan for some Halloween Eve treats. As Vincent Price once rapped on Thriller, “although you fight to stay alive, your body starts to shiver. For no living mortal can resist the excitement of a Thriller”…well nearly. I’m personally a big fan of the “lost” second verse, repeated in its entirety at the top of this article and so much more relevant to the night us Lewes fans experienced. With Autumn arriving with a bang we prepared to watch events unfold with frozen feet, with the pitch heavy meaning it was the players unable to run. But scream we did when the visitors took the lead in just the third minute. To paraphrase some more classic Jackson, this was Bad. Another Part of Me wanted to be sitting on the sofa watching Reading thump Arsenal (well if games were 45 minutes they would’ve). The simple fact of the matter was that Brentwood wanted this game much more than Lewes, looked more Dangerous and won handsomely. This Is It in terms of our road to Wembley this season. Even a Beckford free-kick which almost beat the keeper after coming Off The Wall couldn’t liven up the spirits of the 330 attendance. As 2 minutes of injury time were announced, there was a collective sigh from the crowd on the Philcox as they said “We’ve Had Enough” and disappeared home. Pre-match plans were disrupted by illness to keeper Thorp, Chris Breach and manager Simon Wormull. But even still it appeared we had learnt nothing from the game on Saturday. Just three minutes were on the clock and I had hardly taken a sip of my Blue Label when stand-in keeper Szelemej brought down a Brentwood player in the area. Cohen stepped up and it was 1-0. Crabb and Godfrey tried to liven up the game but it was to no avail. Crabb “did a handstring” according to Lolly and was out of the game. Szelemej gave away a second penalty mid-way through the second half after that man Read once again beat the defence for pace. 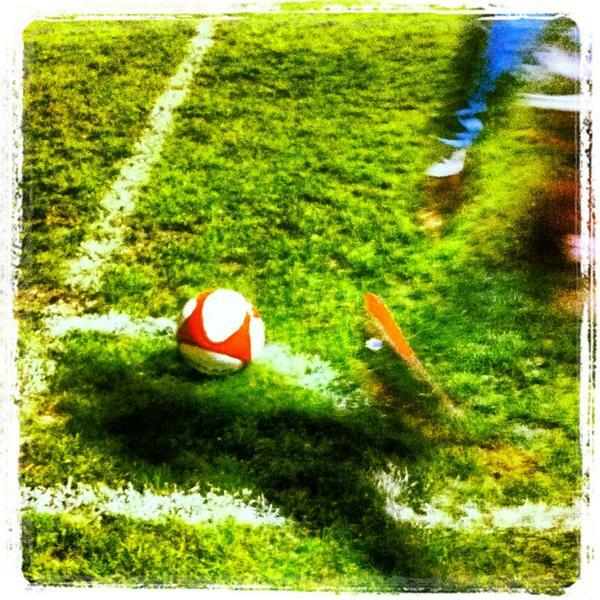 Cohen made no mistake from the spot kick. Read then added a third with a fantastic solo effort where he slipped through the defence like a knife shaping a pumpkin and smashed the ball home. Three-nil. Even the normally positive Dave Lamb was left speechless. It was a night to forget. Well played Brentwood and those fans still left at the final whistle gave them a fully deserved round of applause. But this was no Thriller, it was a Monster of a performance and one I do not want to remember. Lewes’s habit of being embarrassed by lower league teams continues. And of course, as if we needed any reminding, we travel to Leiston on Saturday – ah yes Leiston. 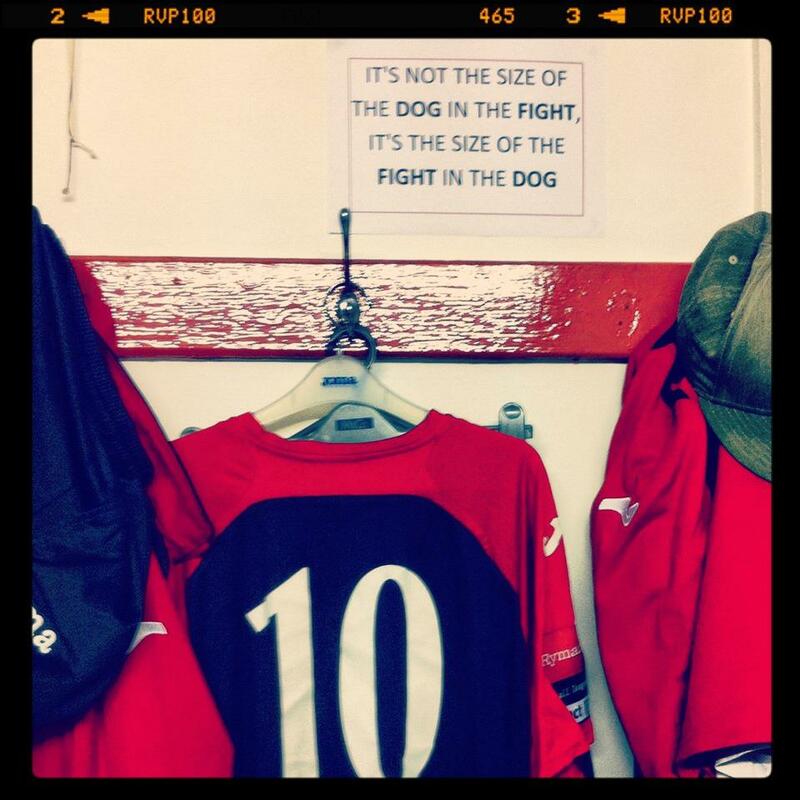 The word that every Lewes fan fears and truly leaves us reeling in horror. 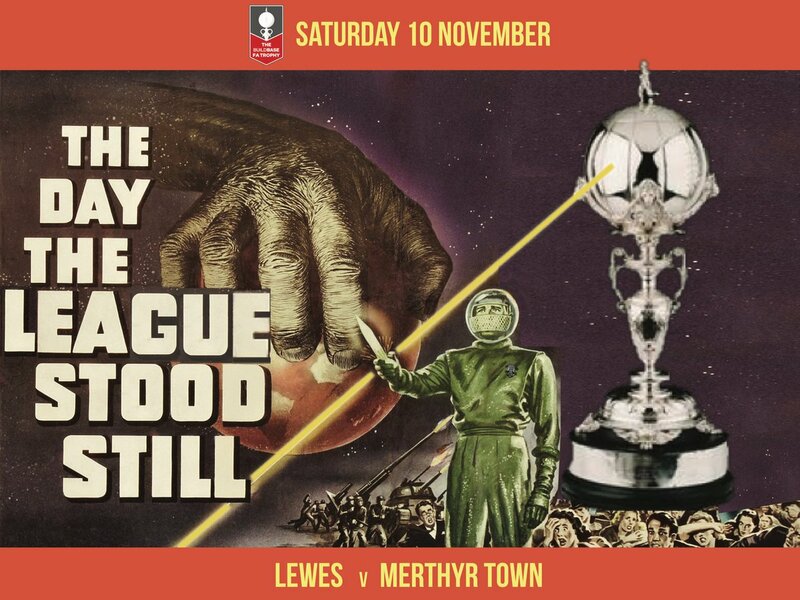 This entry was posted in Lewes FC, Non league football, Rymans League, Rymans Premier and tagged Brentwood Town, FA Trophy, Lewes, Ryman League, The Dripping Pan. Bookmark the permalink.